Compare Drupal 8 vs. Joomla! Drupal 8 is a partial modernisation of the legacy Drupal CMS with a few parts of Symfony under the hood. Usability improvements were not the focus and to the end user Drupal 8 is very much like Drupal 7. Joomla! is one of the big three PHP CMSes. Currently it uses only a single component from the Symfony project. 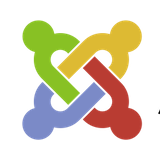 Joomla remains a strong contender with a large number of users and extensions.